Sony’s Vaio Pro 13 is extremely light and offers all-day battery life, but it doesn’t offer the feeling of luxury that its price tag implies. 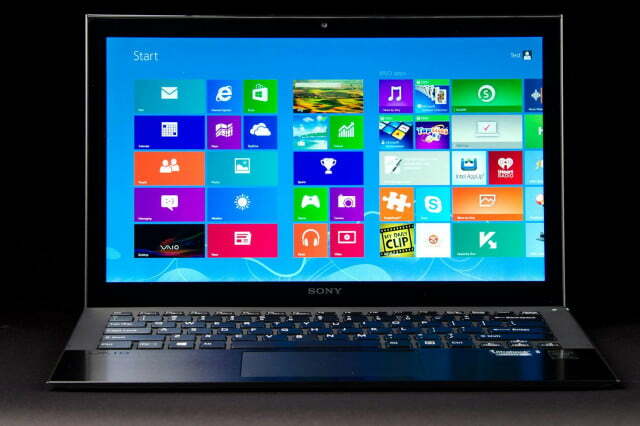 Thin-and-light laptops have always been an area in which Sony impresses, if not dominates. The company’s Z-series pioneered many features over the years (like switchable graphics), and while that name has now been put to rest, its ideals are upheld by a spiritual successor: the Sony Vaio Pro 13. Starting at $1,250, the Pro 13 is yet another Sony product that tries to break new ground among its peers – this time by combining a powerful 4th-gen Core processor with an incredibly thin chassis that weighs just 2.35 pounds, making the Pro 13 the lightest 13-inch laptop available today. Touch is standard, too, and the display uses Sony’s unique Triluminos LCD technology. All of this sounds great, and – given the price – it should. Upgrading the processor or the solid-state drive’s capacity can quickly bump the MSRP north of $1,500. This puts the Pro 13 in competition with the very best PC Ultrabooks. 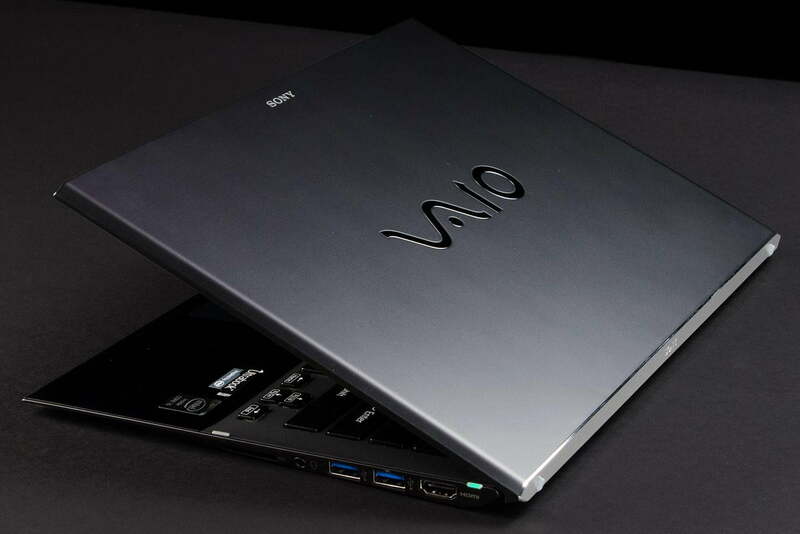 Let’s see if the Vaio Pro 13 can live up to the legacy of the Z-Series. If you’ve handled a Sony laptop within the last three years, you already understand the Pro 13’s style. Like its predecessors, this laptop features a clean, sharp design that offers few flourishes besides a chrome Vaio logo and a backlit power button. Sony introduced slightly rounded corners, which don’t break up the feeling of a slab-like system. 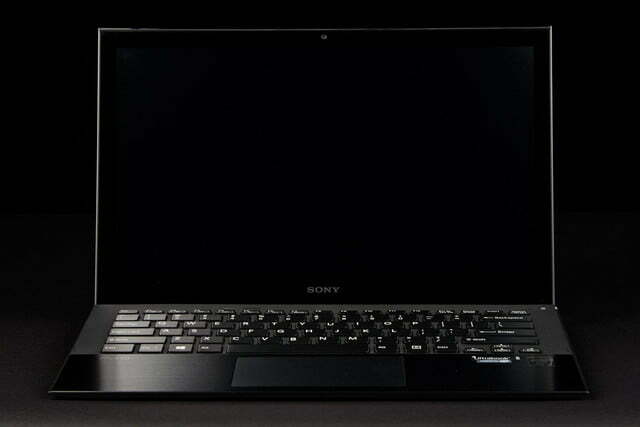 Compared to the Dell XPS 13, Apple MacBook, or Asus Zenbook, Sony’s simple design comes up short. The Pro 13’s carbon fiber chassis actually enhances the problem. While strong, the material is prone to flex, imbuing this Ultrabook with a cheap feel, which betrays the premium price. What the Pro 13 lacks in aesthetics, it makes up through engineering. 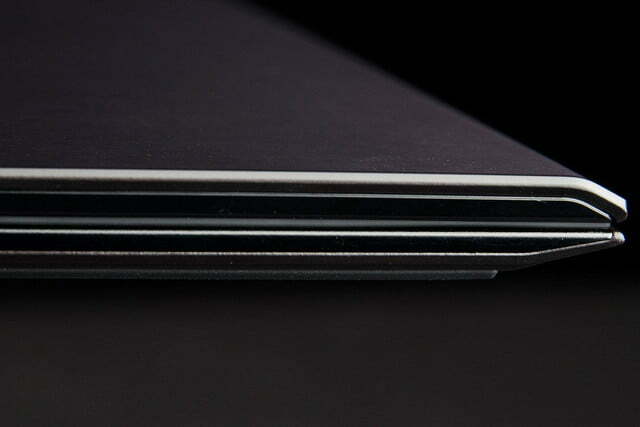 This is an incredibly slim laptop even compared to other Ultrabooks. The thin-bezel display, when fully reclined, tilts the rear of the laptop up to provide a more comfortable typing position. And the fan routes hot air through the rear, keeping it away from the user. Such attention to function will help some users forgive the wallflower looks. 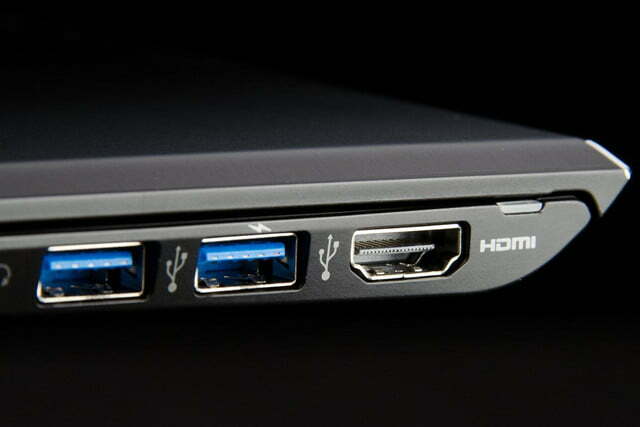 The slim profile leaves room for just two USB 3.0 ports, however, and HDMI is the lone video connection. Audio is available only through a combo headphone/microphone jack, and the obligatory card reader tops off the Pro’s connectivity. 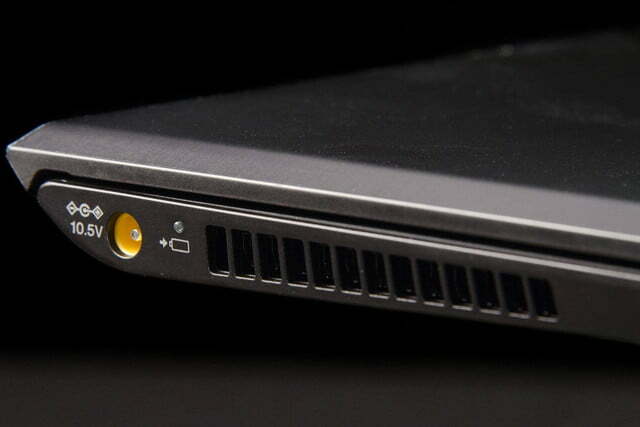 While Ultrabooks are known for poor port selection, this model is among the most sparse we’ve tested. 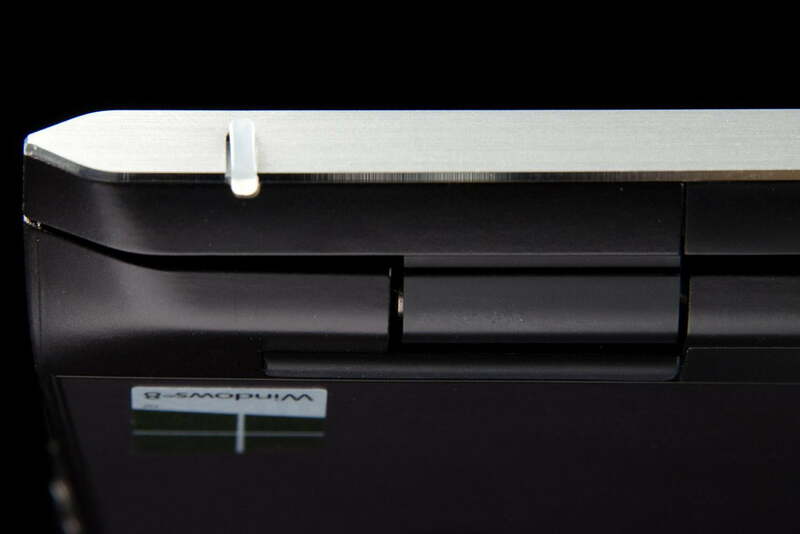 The tapered chassis of this Ultrabook is no more than 0.68 inches thick and is as slim as a half and inch at the front. 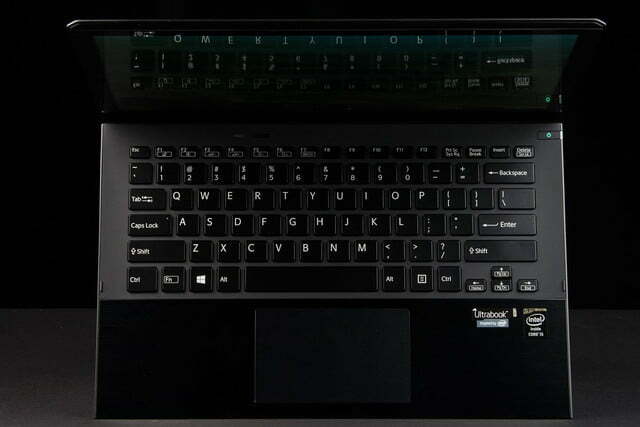 With so little room, we’d expect the keyboard to lack travel, but Sony has mostly dodged the problem. Key feel is reasonable, the layout is spacious, and no keys are unusually small. The “Pro” in this laptop’s name seems to be sincere, rather than marketing fluff, as this laptop can keep typists happy for hours on end. White LED backlighting is standard on all variants, and there are no brightness adjustments. 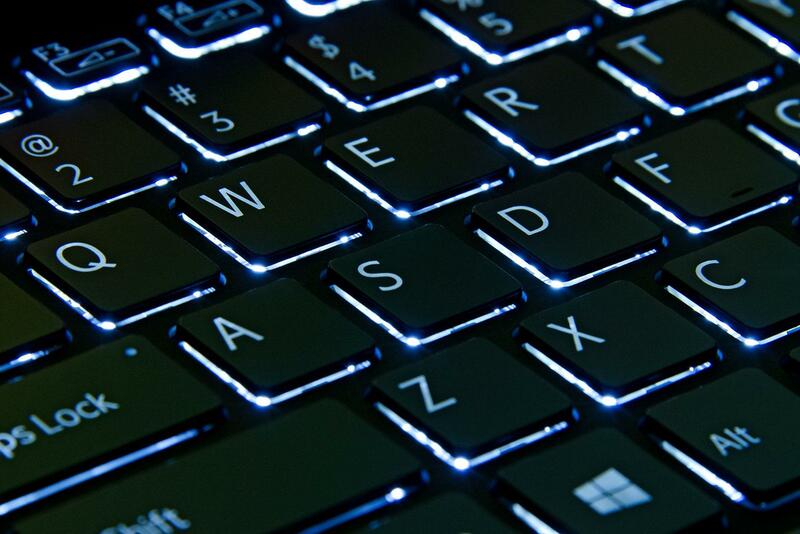 We noticed substantial light leak around the function keys, which may be a problem for those who frequently work in a dark room. The backlight turns on automatically when ambient light is low, but can be permanently turned on or off using bundled software. The touchpad doesn’t live up to the keyboard’s quality. 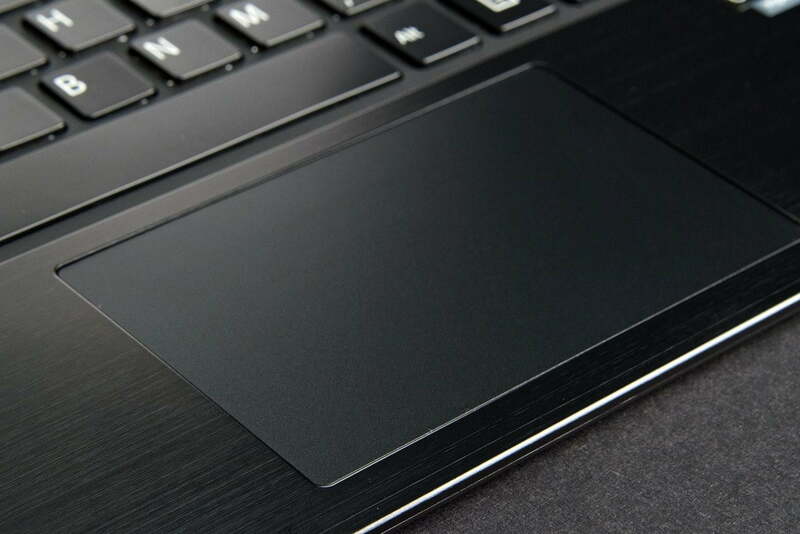 Though certainly large enough, touch input often felt unresponsive, and we had trouble with unwanted activation of multi-touch gestures while using the touchpad and even while typing. As is always the case with such gremlins, finding the source of the problem proved impossible. We became so frustrated with the unreliable touchpad that we resorted to using the touchscreen whenever possible. An interesting extra lurks beneath the touchpad: built-in NFC. Placing a compatible phone on top of the touchpad allows for the transfer of links and even video. While far from necessary, it’s a feature few competitors can boast. The Pro 13’s 1080p display borrows Triluminos, a unique LED display technology from Sony’s TV division. While the engineering behind the tech is complex, the intended result is simple: more accurate color. Specifically, it tries to replicate the results of a RGB-LED panel without the bulk and power consumption. Triluminos proved its chops in our tests by rendering 93 percent of the sRGB gamut while also offering great uniformity, reasonable contrast, and a high maximum brightness. Subjectively, we found the display to be one of the most pleasing we’ve viewed. Colors appear vibrant and shadowy scenes reveal detail obscured on most competitors. Only Dell’s XPS 13 can claim to be Sony’s equal. Luxury is where this Ultrabook really falls short. Another television feature worth mention is X-Reality, an image processing chip used by Sony to enhance standard-definition content on high-definition TVs. The chip only works with local media files (YouTube streaming is not enhanced, for example), but when active, the difference is noticeable. Low-resolution content looks sharper and a more colorful than normal. Unfortunately, poor sound prevents the Pro 13 from providing a great multimedia experience. There’s nothing wrong with the quality, but turning the speakers up to eleven produces barely enough noise to fill a small room. A pair of headphones will be necessary for those traveling with the Pro 13. At just over 2.3 pounds, the Pro 13 is the lightest in its category, and lighter than many competitors with 12.1-inch or 11.6-inch displays. 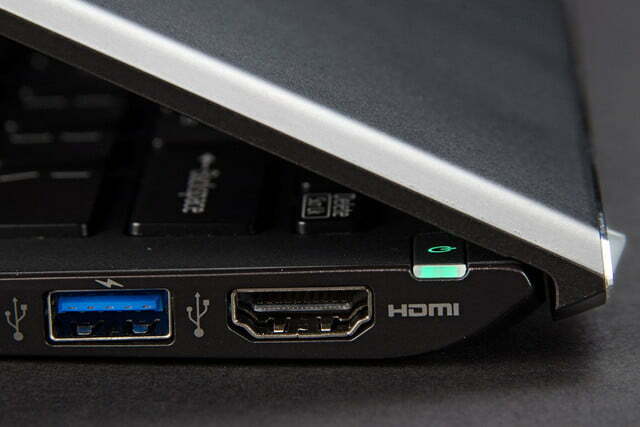 That’s a remarkable achievement, and it makes for an Ultrabook that’s supremely portable. If you can’t find room for this system, you don’t have room for any PC, period. Battery life is sometimes sacrificed by absurdly thin laptops, but this Sony, equipped with a 4th-gen Haswell processor, managed to hang with the best by scoring four hours and 34 minutes in the Peacekeeper browsing test and a stunning 10 hours 32 minutes in the low-load Reader’s Test. That’s well beyond Sony’s claimed 6.5 hours, which the company admits is conservative. The excellent endurance is further enhanced by a focus on lightning-quick charging. 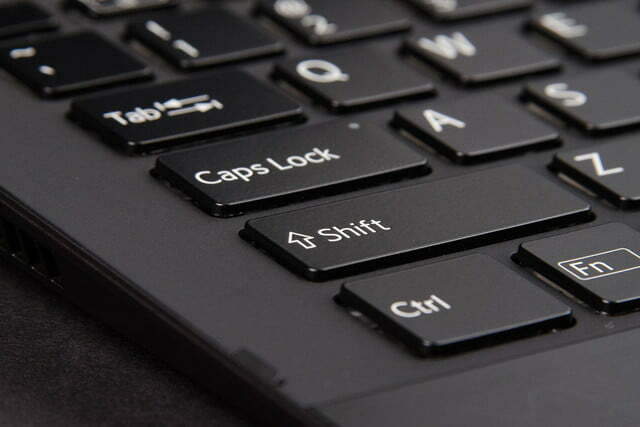 Most laptops require several hours to return to 100 percent, but the Pro 13 can recharge in a little over an hour. This feature is a blessing to anyone who frequently endures long-distance air travel. 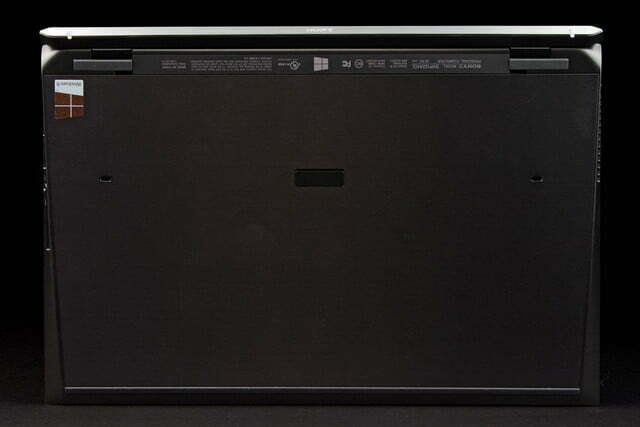 Though the laptop can consume well over 30 watts when charging, power use is generally low. We recorded the system using just 7 watts at idle with the display at maximum brightness and no more than 20 watts at load. These figures are the lowest we’ve yet recorded, defeating even the power-sipping Lenovo IdeaPad Yoga 11S and last-gen PC tablets like the Microsoft Surface Pro. On paper, the Core i5-4200U processor in our review unit should be quick. In practice, it disappoints. SiSoft Sandra’s Processor Arithmetic benchmark came to a result of 35.69 GOPS, and 7-Zip reached a combined score of just 5,663. While these numbers are certainly adequate, they’re a step back from previous Ultrabooks and represent the compromise some Haswell processors make to enable record-low power consumption. PCMark 7, our general system test, reached a more complimentary result of 4,978. This is close to the elusive 5,000 mark that few laptops can top and represents a system that is responsive in normal use. A significant contributor to this score is the solid-state drive, which offers fast access times and strong transfer speeds for both reads and writes. However, 3D performance followed the processor’s lead by serving up a Cloud Gate score of 3,223 and a Fire Strike score of 438. These numbers are the result of Intel HD 4400, the only graphics component available, and they just barely beat the average last-gen Ultrabook. Most 3D games will run, but demanding titles will be playable only at low detail. The 4th-gen processor in this Sony doesn’t use much power, but the thin chassis forces the system’s fan to work hard to provide adequate airflow. The fan is constantly active and generates 41.3 decibels of noise even at idle. Full load increases that figure to 47.2dB, which is loud and immediately noticeable even in a room with significant ambient noise. The Sony Vaio Pro 13 is technically brilliant, yet it seems less than the sum of its parts. Despite all that hard work, the fan couldn’t keep external temperatures from spiking at 107.4 degrees Fahrenheit under load. Though some competitors are much hotter, this is still warm enough to make the system uncomfortable. Idle temperatures hover around a more reasonable 87 degrees. Sony offers a software switch that can adjust the speed of the fan, turning it to silent or performance mode. We performed most of our tests at the default “normal” setting, but experimented with the feature. Silent mode noticeably decreased idle noise, but had minimal impact on external temperature or noise at load. Performance, on the other hand, increased fan noise at load, yet we didn’t see a significant increase in benchmark scores. 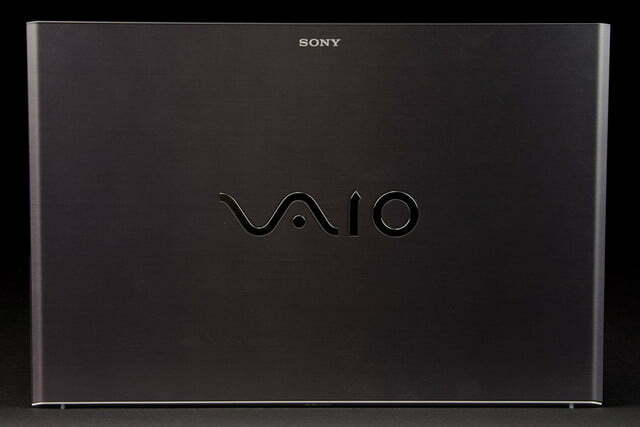 The Sony Vaio Pro 13 is emblematic of Sony’s new approach to product design. By using technologies from multiple divisions, and focusing on technical excellence, the company has crafted an Ultrabook that’s extremely thin and light, yet also offers excellent display quality and strong battery life. This is paid for by performance, but the figures we received are still adequate; we’d like to see more, but the Pro 13 never felt slow during tests. Luxury is where this Ultrabook really falls short. When consumers shop in this price range they expect to see attractive design, unique materials, and solid build quality. Sony technically delivers with the Pro 13’s carbon fiber chassis, but the material (in spite of its real strength) feels thin and cheap, which is an issue that will put off some buyers. The general feeling of cheapness is made worse by the tricky touchpad, which often responds to unintended input, yet feels slow to accept multi-touch gestures. 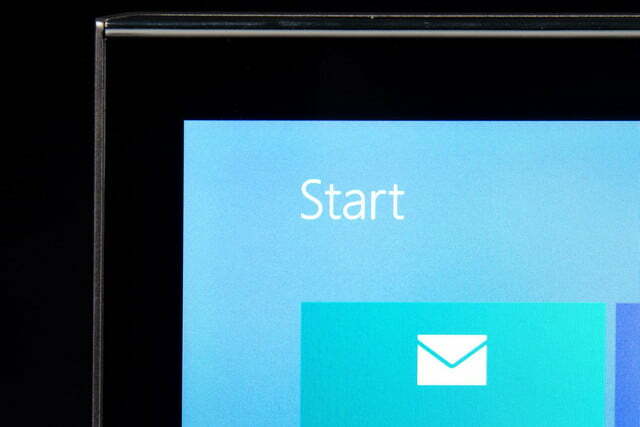 We’re disappointed to see Sony’s flagship suffer from such a simple, frustrating problem. 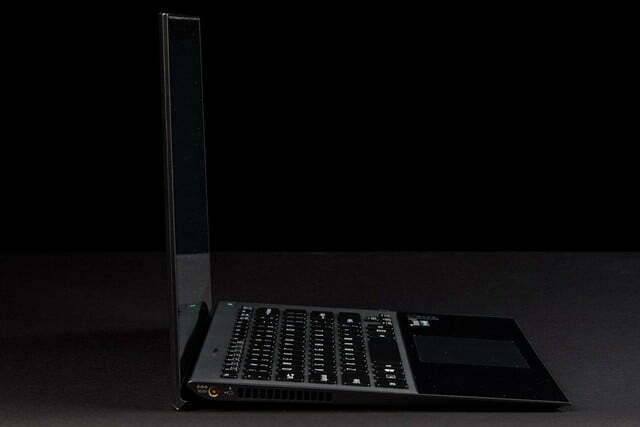 Despite its light weight, the Pro 13 can’t quite keep up with the Dell XPS 13, Asus Zenbook, or even the MacBook Air. 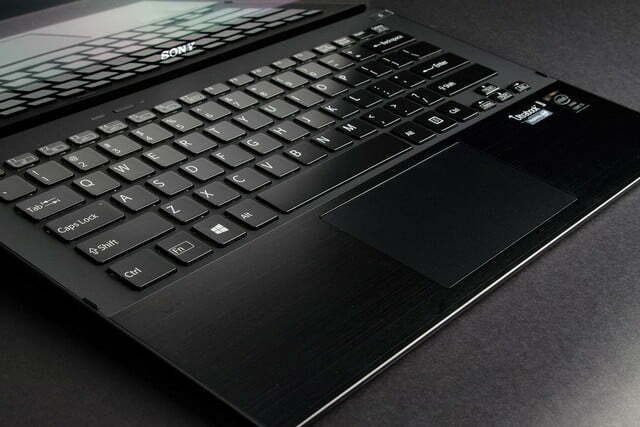 The Sony Vaio Pro 13 is technically brilliant, yet it seems less than the sum of its parts. Professionals should still consider this laptop, as it offers many useful features and is easy to stow, but most consumers will prefer quicker, more attractive competitors.